Floor Area 1,422 Sq. Ft. 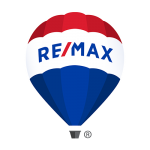 Listing Brokerage RE/MAX Nyda Realty Inc. Please send me more information on 204 32823 Landeau Place, Abbotsford. Thank you.